"I think he has a great quality of being able to be outraged by something without losing his sense of humor about it." Paramount has unveiled a short new featurette for The Big Short, the out-of-nowhere banking comedy that features a helluva cast. Adam McKay (of Anchorman 1 & 2, Step Brothers) directs Christian Bale, Steve Carell, Ryan Gosling, Karen Gillan, Marisa Tomei, Melissa Leo, Rafe Spall and Brad Pitt in this comedy about a group of bankers that try to plan their way around the recession in 2008. The first trailer hit a few months ago and it looks promising, like there might be something to it. This new featurette mostly focuses on director Adam McKay and his vision for this movie, and his passion for comedy. Give it a watch. 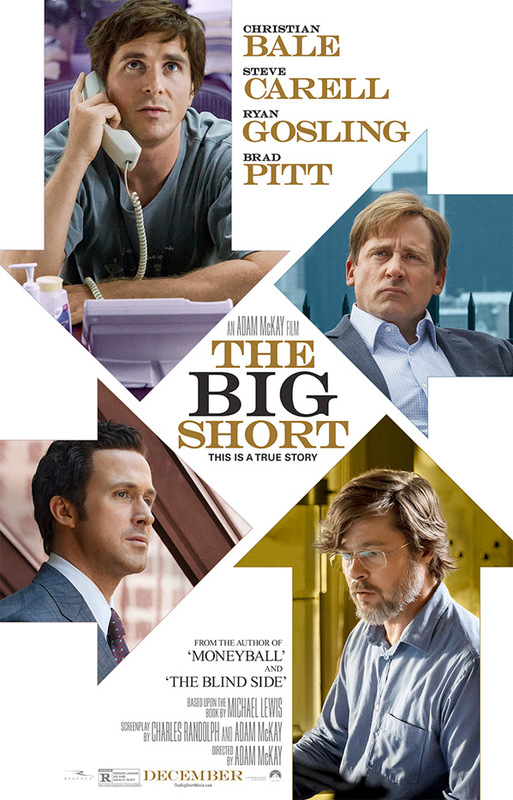 You can watch the full theatrical trailer for McKay's The Big Short here, for more footage from this film. I am interested in this film because the premise is intriguing, but I will see it because McKay is directing and I am quite curious about what he can do with the material and A-List actors.